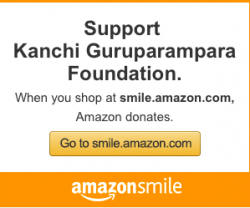 Jaya Jaya Sankara Hara Hara Sankara – Akshayam Trust takes small ancient temple renovation projects, one at a time. The project typically last around 8-10 months before they take up the next one. Their budget is very impressive and is in the range of 12 lakhs. This gives an opportunity for everyone to participate and contribute in renovation as well as Maha Kumabishekam. They renovate ancient dilapidated temples as per Agama Sastras. So far, they have completed 7 projects with the blessings of our Periyavas. They have a standard template, very methodical and disciplined way of completing their projects. 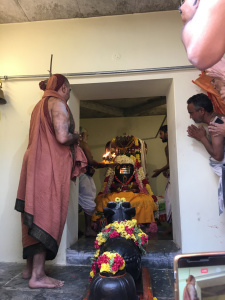 With the blessings of Pujyasri HH Periyava they completed the Vanmeeganathar Project in January this year. We had published that about the same Maha Kumbabishekam in the blog. Click HEREfor the link. 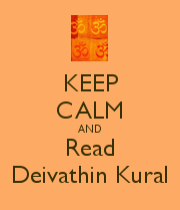 Feel blessed going through various posts regarding periyavaa & our dharma in general.